Halloween is so much fun in Aspen. People even get dressed up to go to work! We went trick-or-treating with the kids then went out in town. Incredible costumes…. here is a picture of me and a friend. 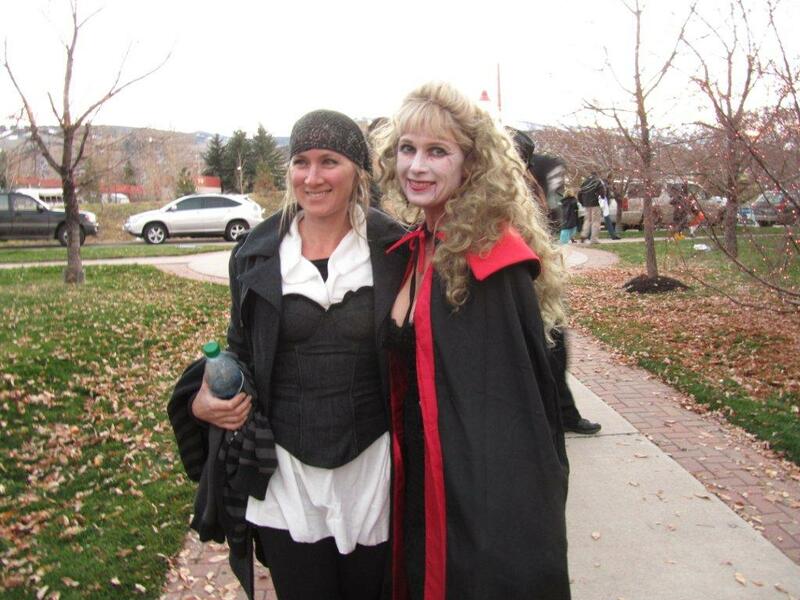 This entry was posted in Uncategorized and tagged aspen, halloween. Bookmark the permalink.